Ignore your friends and third party recommendations from magazines, websites, etc. Nobody has feet like yours. Brand X may be the best boot ever for your mate, but after a few hours on the slopes the same item may feel more like an instrument of torture to you. In fitting terms these can be considered as being virtually identical. Both consist of a stiff outer shell constructed of plastic or reinforced synthetic fabrics surrounding an inner foam boot. The outer shell provides stability and transmits power from your leg to the ski or board edge via the binding. The inner boot is the comfort part of the link; making the interface between limb and shell comfortable whilst maintaining good power transmission. complete one or two runs before heading in to massage some life back into your mangled tootsies. Expect the boot to feel a little bit tight initially. When the foam inner boot compresses, the space inside the boot will increase. If the boot was roomy to begin with then you now have something that will perform as well as the box they came in. Wear the boots as much as possible before getting to the resort and go back to the shop to get them adjusted if you feel that the fit changes for the worse. Cheap boots generally come with very soft inner boots. These feel great in store but the foam flattens out very quickly after just a handful of days on the hill. This leads to a loss of fit, control and comfort that renders the boots next to useless. Do not be fooled by an initial fit that seems really soft and comfy. The boot only really breaks in after a couple of days or more. Firmer foam inner boots, some of which can be heat moulded around your foot come with higher spec and therefore higher priced ski boots. The superior construction means that your boots will fit more consistently over their lifetime. The control over your edges will also be more consistent and the comfort only gets better. be aware that promises of ultimate comfort and instant, hassle free fit are as reliable as promises of free money. 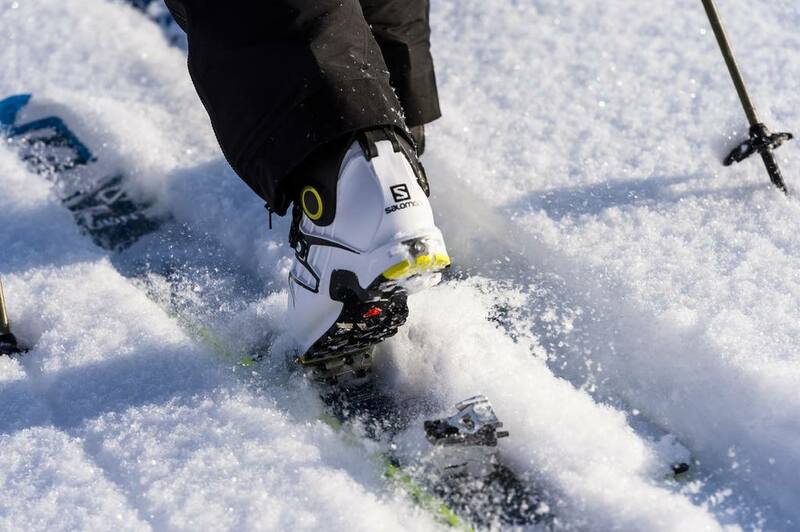 Injection boots are more geared toward top end high, performance skiers and boarders racers, ski patrol and instructors. the faster you go the more worthwhile a foam injection boot is. at the recreational level it will often be less comfortable, stiffer and less warm than the heat moulded inner boot. 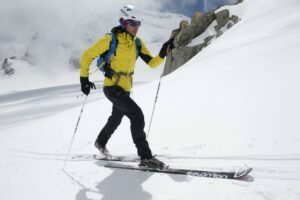 Some guides and instructors have two pairs of custom inners, a heat moulded one for work and all day comfort and a second, foam injected pair for fast skiing on their own time and races. The short rule is: foam injection = higher performance, heat moulded = greater comfort. If you can’t justify two pairs of liners then be clear what you want to do and choose accordingly. Once you have put your socks on and had your feet measured the next step is to swap the cheap flat insole supplied with the boot for one which offers your foot a much greater degree of support, stability and comfort. A good insole will hold your foot in place more securely in greater comfort and with less pressure than the irrelevant flat sheet which is usually supplied. Whether you go for a trim to fit product off the shelf or opt instead for a full custom moulded model the improvement has to be experienced to be believed and the insole is probably the only bit of gear that you can transfer to other shoes and benefit from all year round. The size is right, the socks are cosy, the insole has been fitted and the inner liner has been moulded. Why does my big toe still hurt? How come my ankle bones are aching after just a short while? The answer is that the shell may be causing pressure on protruding bones, bunions, toes or whatever. The last step in the process of fitting the boot is to relieve this pressure by gently stretching the shell out and away from the pressure point. The end result should be a boot which fits well and delivers power to the edges and is as comfortable at the end of the day as it is at the start. Try to always buy your boots according to how well they fit and how suitable they are for your style of riding. Freestyle boots tend to be softer and less supportive with less forward lean built in. This makes landing jumps and tricks easier but the down side is that cruising runs especially at higher speeds is a bit more wobbly. The other thing to bear in mind is that this style of boot often can be quite a bit less durable. 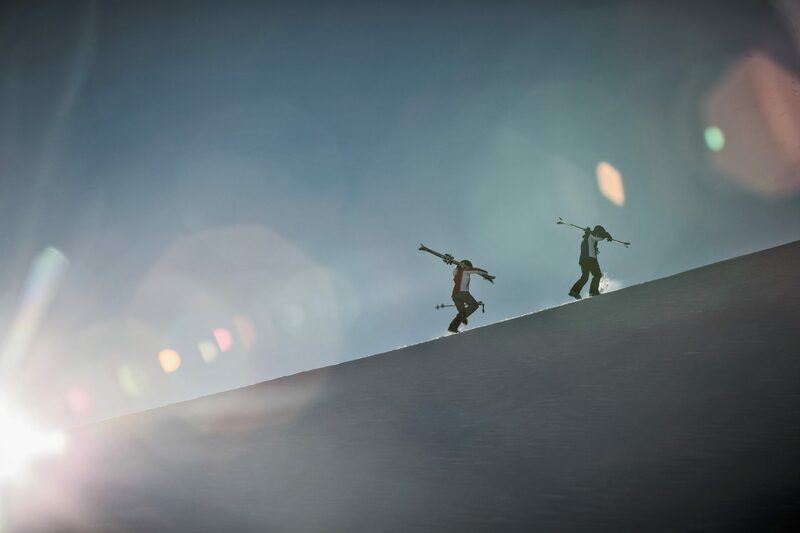 Freeride boots will be a bit stiffer and sport more forward lean. Boots designed for use with a step in binding system are stiffer at the back to compensate for the lack of support from the binding and have a firmer less flexible sole. Do not buy your boots to suit a binding system. Step in binding systems are quite popular but there are umpteen different styles and most have a very limited range of boots available to fit. If you choose the binding first you may well find yourself in a sloppy or restrictive boot just because no other binding compatible footwear was available.